HOW HAS KAWS MANAGED TO BE ADORED BY THE WORLDS OF ART AND FASHION? 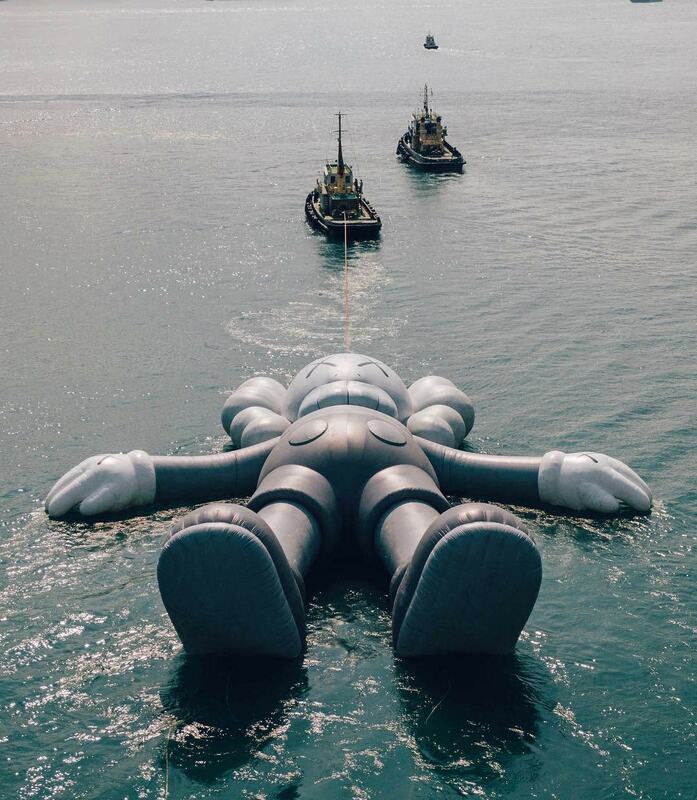 Recently, the city of Hong Kong woke up to a gigantic blow-up sculpture floating on top of the waters of the Victoria Harbour. This is an artistic intervention by KAWS, one of the most stimulating names when it comes to exploring the intersections between new street art and old school art, that which is meant to be exhibited in museums. 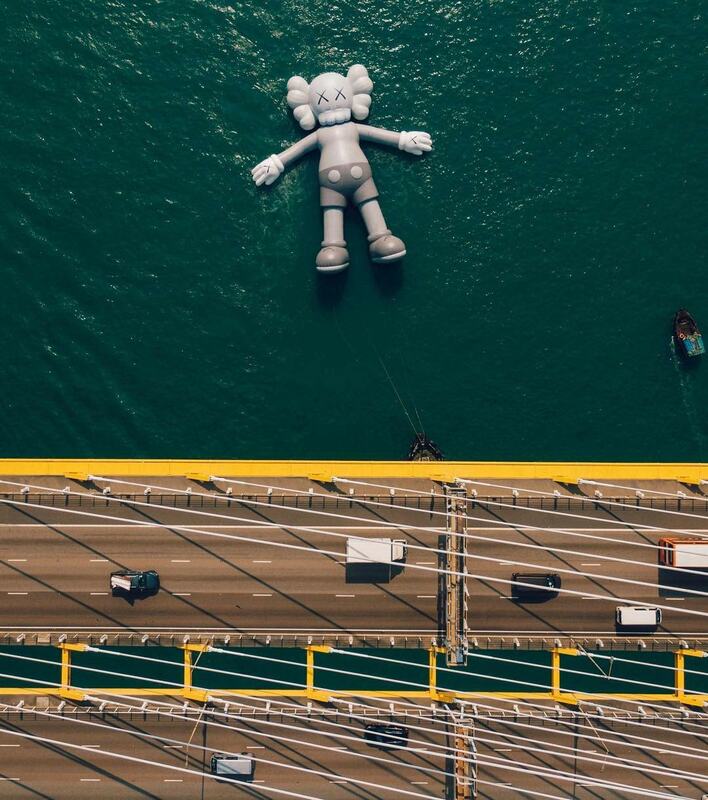 Imagine waking up one morning, peeking over Victoria Harbour’s bay in Hong Kong and seeing a megalomaniac floating sculpture of something resembling a dead Mickey Mouse. The Colossus of Rhodes, but in a touched, sunken, knocked over version and adapted to the aesthetic taste of a post-modern sensibility that is fond of street art. 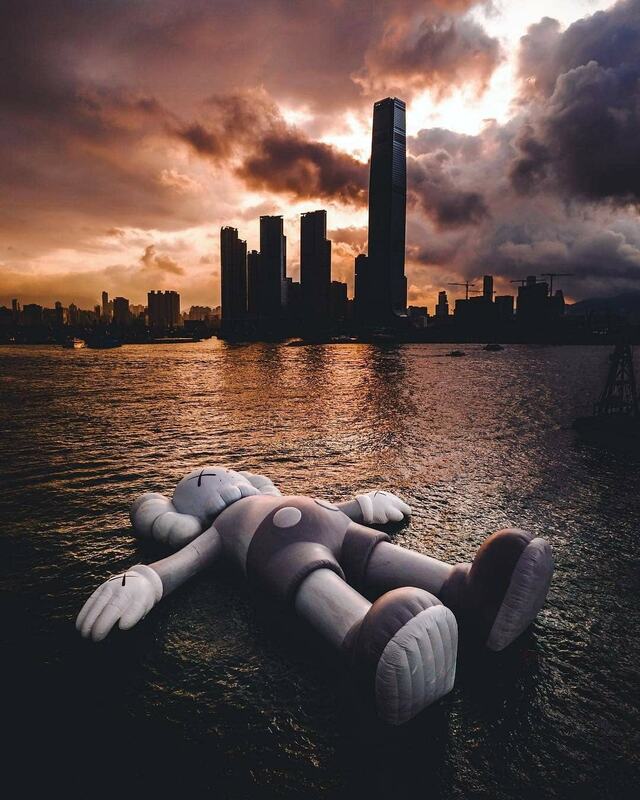 It might sound extravagant, but that’s what just happened in Asia, and the culprit is nonother than KAWS. The thing is that nobody should be caught by surprise by this artistic action. 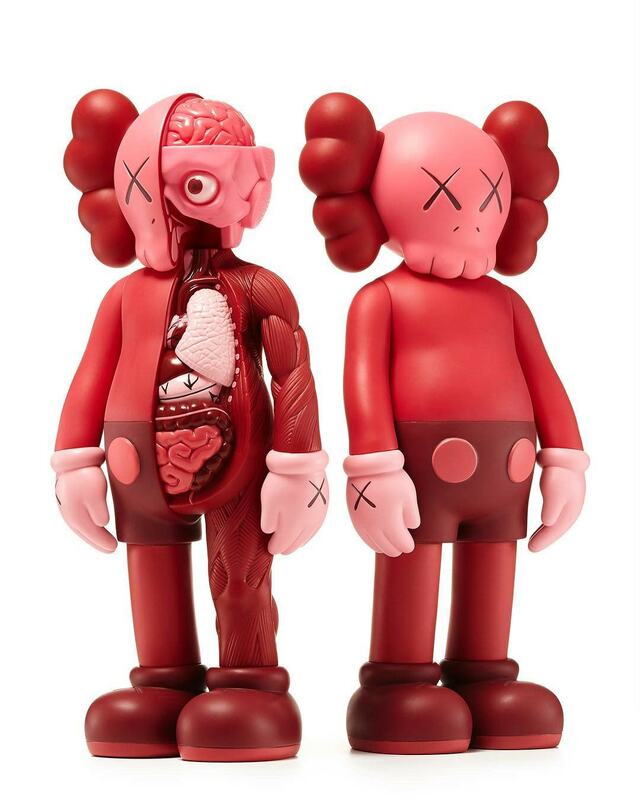 For starters, because this KAWS:HOLIDAY has already passed through other cities like Taipei or Seoul. But, above all, because Brian Donnelly’s career has taken part in our collective imagery for a while now. After all, not all artists have such a triumphal start in the art world like him. Born in 1974 in New Jersey and raised in New York, Donnelly alternated his day job (he even became an animator for such legendary shows like Daria or Doug) with a much more stimulating night job. First, as an amateur graffiti artist. After that, he’d be in charge of a much more specific action: he would rework the ads of big fashion brands by adding his own characters. Excellent move. This type of street artistic intervention immediately caught the attention of both worlds that have praised KAWS in the last few decades: the artistic scene adores his irreverent personality and his ability to create true aesthetic icons, whilst the fashion world didn’t take long to ask him to stop reworking their ads on the streets and to do so directly for the brands. Calvin Klein was one of the first to reclaim his service. And, from there, the list seems to be never-ending: he has his own Nike Air Force 1, he designed a perfume bottle for COMME des GARÇONS, he did a homage to Snoopy and his friends through several collections for Uniqlo, he customised a pair of Air Jordan 4, he gifted Dior a gigantic teddy bear made out of colourful flowers and Kanye West even resorted to his art for the disco version of his 808s & Heartbreak’s album cover. This is concerning the fashion world. But in the field of art KAWS never ceases to amaze everyone. Many may consider The Simpsons (in its first years, at least) as the dark flip side to the dominant culture, it turns out that Donnelly created the dark flip side to the dark flip side: The Kimpsons. Several fascinating characters, whether they be in an illustrated 2D version or in three dimensional sculptures, between which these can be found: Accomplice (kind of like a cursed bunny), Chum (a disturbing revision of the Michelin dummy), Bendy (a sort of snake) or that Companion who is, without a doubt, KAWS’s most notorious creation. 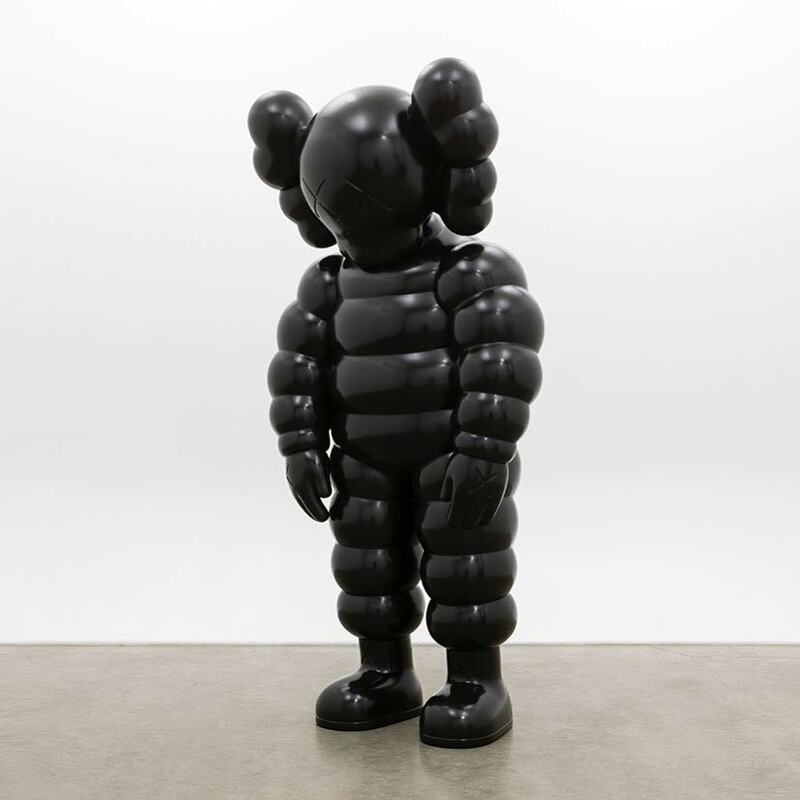 It’s Companion who’s front and centre in KAWS:HOLIDAY. And it’s also Companion who crowned Macy’s Thanksgiving parade in 2012 in the shape of a gigantic blow-up balloon. 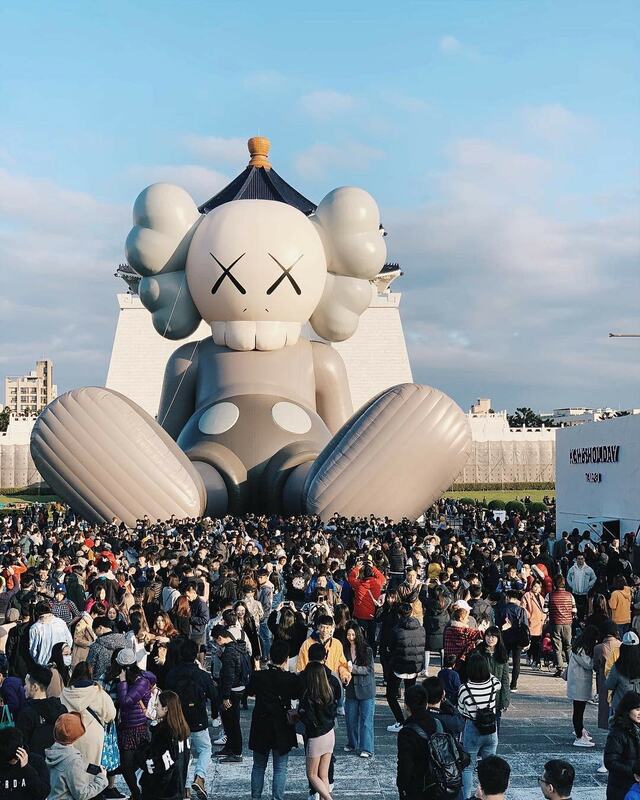 The evolution is quite evident: KAWS is conquering each time bigger and bigger spaces. And so there are people who have started to ask themselves: And what’s next? A Companion in the surface of the moon? 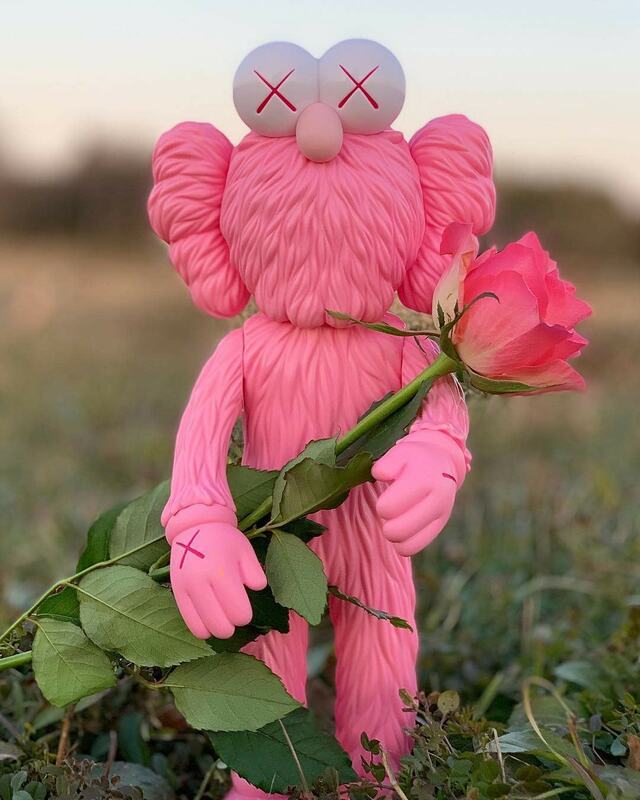 KAWS is just as adored by the art world as by the fashion world. And, in the meantime, he’s still gracing us with his own touch of madness like making a colossal statue float on top of the waters of Hong Kong.